No premiums apply to preferred positions. Half page horizontal: 6.75 × 4.75"; vertical: 3.25 × 9.5"
Third page: 6.75 × 3"
Quarter page: 3.25 × 4.75"
Business card: 3.5 × 2"
Please submit your logo & website URL to be included on online journal supporter list. 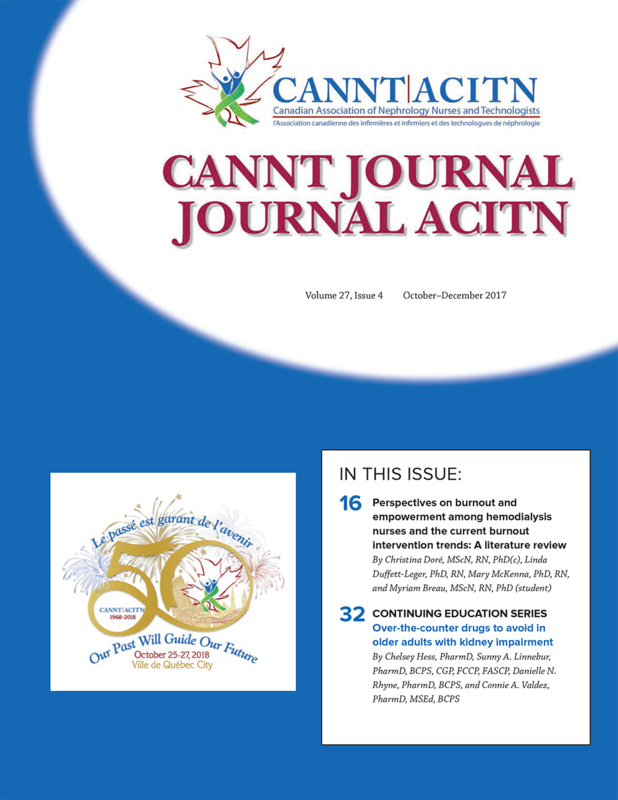 The CANNT Journal is published for the Canadian Association of Nephrology Nurses and Technologists by Pappin Communications, Pembroke, Ontario.